Cherish every step. Remember every chapter. Love every moment. 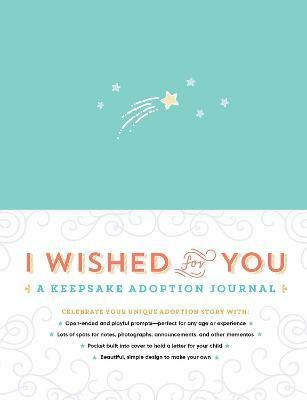 Celebrate your unique adoption story with this gently guided journal designed with adoptive parents in mind. Every child, every family's story is unique... and now every story can be told. This beautifully designed keepsake journal captures all of the emotions, history, hopes, dreams, and surprises that each adoption journey entails through guided prompts that encourage parents to enjoy and reflect on their own experience. Created specifically for adoptive parents, I Wished for You celebrates each unique adoption story, where every milestone is remembered, every moment is cherished, and every child is wished for.